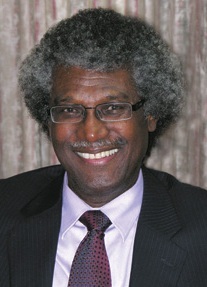 Honourable Sir K Dwight Venner, Governor of the Eastern Caribbean Central Bank wants leaders and policy makers in the OECS to honestly, objectively, and realistically assess the sub-region current situation and the structure and functions of the political, social and economic systems under which they operate. In an address which was simultaneously broadcast throughout the OECS on various radio and television stations he said that countries of the Eastern Caribbean Currency Union have endured four years of negative economic growth as a result of the impact of the global economic and financial crisis which has affected all facets of our economic and financial systems. “As we enter the year 2013, it has become clear that we have reached a tipping point which will require our sustained and collective efforts to get our economies on the path to growth and development,” he said. Speaking about the external factor affect the growth of the region, the Governor said that the Caribbean, of which the ECCU is an integral part, has lost its competitiveness in many areas. “To put it bluntly, we are being left behind in a very competitive world in which countries, both advanced and developing, are having to make significant adjustments to remain competitive,” he said while pointing out that the sub region has had its trade preferences for major agricultural export commodities removed or substantially reduced; has seen its share of the global tourism market decline; and has not undertaken the fundamental adjustments that other countries have made. Elaborating further he said that preliminary data indicates that economic activity in the ECCU contracted for a fourth consecutive year in 2012, although the pace of contraction slowed relative to the average for the previous three years. “Real Gross Domestic Product (GDP) is estimated to have declined by 0.1 per cent, compared with an average contraction in the previous three years (2009-2011) of 2.2 per cent. This out-turns reflected lower output in key sectors such as, construction, transport, storage and communications, and sluggish growth in the tourism industry. Value added by the construction sector contracted by 5.6 per cent, following an average decline of 13.3 per cent in the previous three years,” he said.